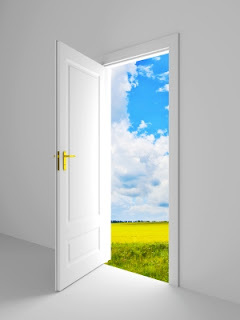 an open door that no one can shut. When I read the Bible I believe that God speaks to me, but at times I am still startled when it happens! This verse was one of those startling moments when in the midst of feeling absolutely exhausted and confused as to the future, God spoke. It was just what I needed, at just the right time. And while the intensity of my life didn’t change, my eye sight increased as I began, more intently, looking for the open doors and discovering that they weren’t always obvious, but they definitely existed! With each morning sunrise a door is opened to us that no one can shut, except our own inability or refusal to walk through it. Whatever happened the day before is gone. Perhaps remnants of the previous day may carry into the next but what we hold in our hand, on this particular day, is the door knob to a fresh start, new opportunities, new beginnings. What belongs in this newness is all that God has placed there and He is ever aware of what we are able to handle. And that is the surprising part! On any given day, week or month, we may feel completely depleted, unable to think much less do. But our weakness is taken into account, considered by God and determined. And what about those doors that God places before us? Well, if they’re already “open” we don’t need strength to unlock, push, run or shove—just strength enough to walk through and live in the moment, the gift, that God has given. Jesus, I believe you have doors open for me. Help my eyes to see your newness every day.